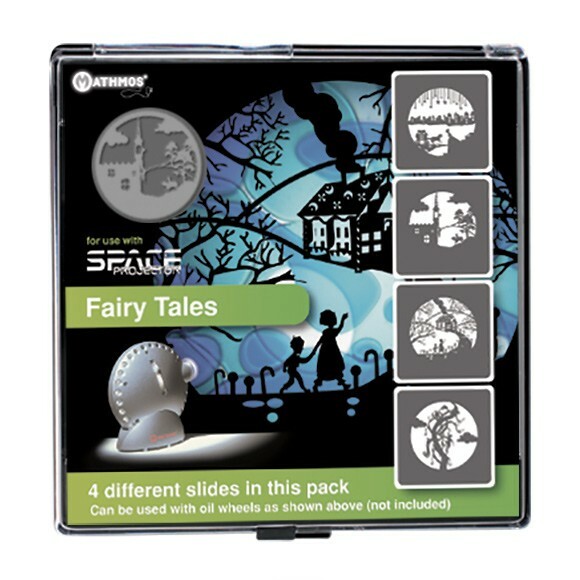 Each slide pack has 4 different static images ideal for sensory work where interesting static images are required. There are 2 slide packs to choose from and 3 different coloured projectors, projections can reach up to 13ft / 4 meters in a darkened room. There are a wide range of other effects that will work with any Sensory Lights Space Projector to be bought separately, see below. 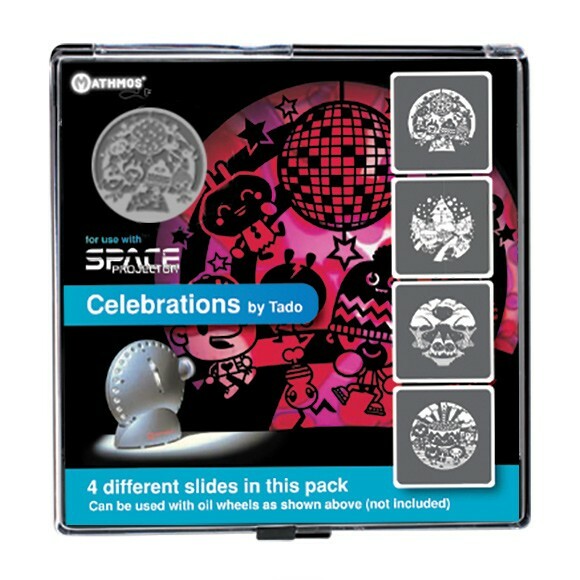 Slide packs also work brilliantly when combined with lava lamp wheels; these provide a continously changing coloured backdrop to the graphic projection bringing it to life.